Blackhall Publishing has its head office in Dublin, Ireland, and maintains editorial and production offices in Cape Town, South Africa and New Delhi, India. The company is a noted publisher of law titles. Through its associated company Orpen Press , it publishes titles in the areas of business and economics, personal development, personal finance, Irish culture and society, sport and lifestyle. Blackhall includes among its many authors important Irish business and law figures, and numbers among its international authors Dr Edward de Bono, the father of lateral thinking. In addition to its publishing services, Blackhall offers a consultancy service to institutions and governments. The company currently publishes and maintains the laws of the Isle of Man, Botswana, the Falkland Islands, Jamaica, Malawi and Sri Lanka. 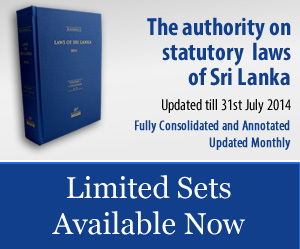 These laws are published in bound or loose-leaf editions, online and on CD-ROM. In Ireland, Blackhall Publishing is a provider of services and knowledge to a number of State organizations, including An Garda S?¡och?ína (the Irish police force). For several years the company has specialized in providing services relating to statute law revision, law reporting. In addition, Blackhall provides online content management solutions and has developed solutions in Adobe Photoshop, Adobe InDesign, Adobe After Effects, SharePoint and other packages.